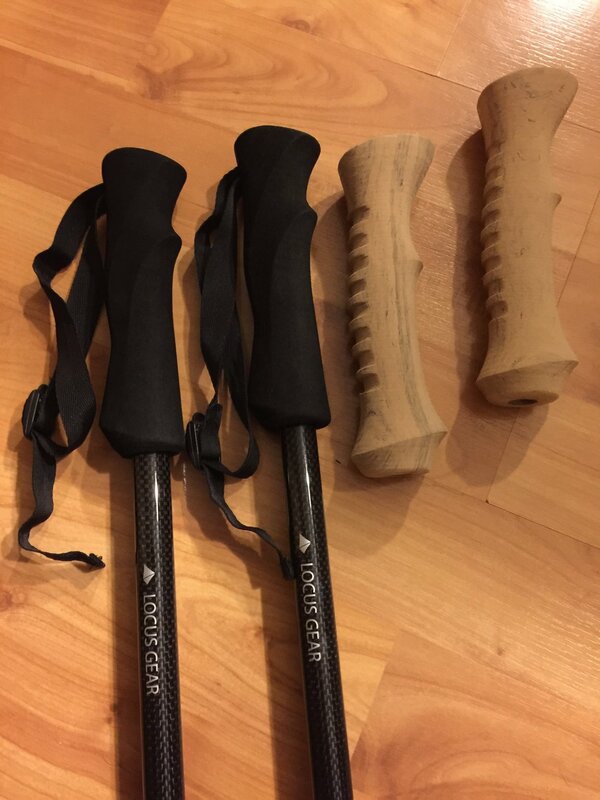 I have a new pair of carbon fiber trekking poles with foam grips that I would like to remove and replace with cork grips. I'm just wondering, what would be the easiest way to remove these? I would like to keep from destroying them, if it all possible, but they need to come off regardless. If you have a blower attachment for your air compressor you can put the nozzle between the pole and the foam in blow air in there. Should make the handles come off fairly easy as the air should stretch and push the foam. ^^^this. And if you don't have a compressor take them to a bicycle shop. They should know what they are doing. Rubber bike grips blow off like nothing. Exactly, I have installed a lot of grips on and off motorcycles this way. Cool idea, and I never thought of that. I do have an air compressor and an attachment that I can do this with. I'll give it a try tomorrow and let you know how it turns out. Thanks guys. Working in a ski shop, we usually just hit the grip with the heat gun for a little bit to soften it up and then it either pulled right off or we would find something to brace it on and pull against, usually the bottom corner of our workbench under the lower shelf so we could help hold it in place with our foot if necessary. We didn't have a compressor readily available otherwise I'm sure that would work too. I just heated mine up and they slid right off. My poles were aluminum though. If glued on, heat gun or immerse in boiling water for a few minutes. If not, air compressor. or wedge something in between the pole and grip (screwdriver, pencil....) drop a little water down in there remove inserted item grip the grip twist twist twist and it should slide off. reinstall new ones with a quick spritz of hairspray inside the grip lubes it to slide on and sticky when dry. Troutbum-- I am planning on the exact same project: switch GG Korkolon grips onto Locus Gear poles. Please share your experience! Did the black grips come off easily? How did you incorporate the straps with the new grips? Any other tips or comments? Many thanks! I tried a couple methods that were posted above, like using an air compressor and heat gun (actually a hair dryer), but I had no luck getting the foam grips off intact. I ended up loosing my patience and said screw it, and just cut them off. In the end, I figured that I would never be reusing them anyway. I didn’t worry about putting straps back on them so I’ve just been using them without straps now. Air compressor didn't work for me, either. I am going to try to add Gossamer Gear straps to the poles with the new grips. We'll see how it goes... Thanks for your feedback!